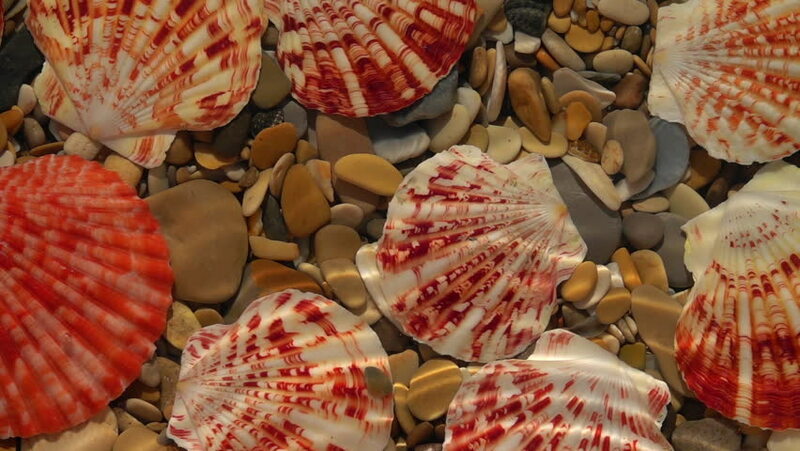 Slow motion of waves of frame on shallow water with round pebbles and colorful sea shells bottom close up. Top view of amazing natural background with vibrant texture in sun shine. hd00:21Novi Sad,Serbia - ,Candies of every shape and form in the sweet shop on May 28 2014 in Novi Sad, Serbia.